The always classy Amy Adams was a vision of sheer elegance at the premiere of ‘Her’ held at the Directors Guild of America Theater. She was dressed to impress in a black silk gown from Lanvin paired with embellished pumps from Christian Louboutin. The actress joined her equally fabulous co-stars Rooney Mara and Olivia Wilde on the red carpet at the Los Angeles premiere of their upcoming film, which was written and directed by Spike Jonze. Amy looked lovely in her black silk dress from Lanvin, which was cinched at the waist with an embellished waistband. The tea-length frock features a V-shaped neckline and pleat details. Her hair was styled in a chic bun, and she wore an assortment of beautiful jewelry from David Yurman. She carried a gorgeous embellished clutch from Valentino and finished off her look with a pair of “Artifice” d’Orsay pumps in black satin from Christian Louboutin. 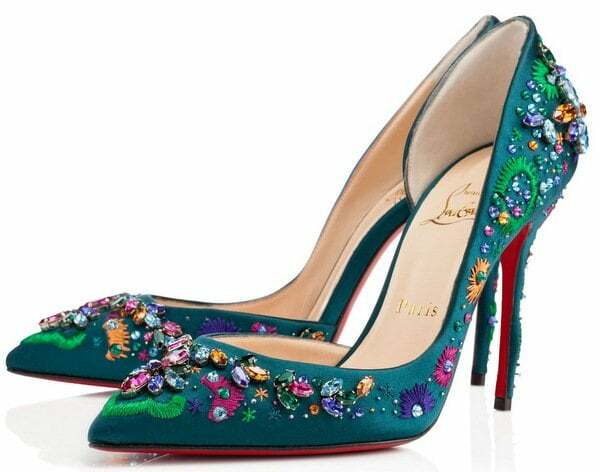 These pumps from Christian Louboutin feature a beautiful cluster of crystals, intricate embroidery, stiletto heels, and the brand’s signature red leather soles. 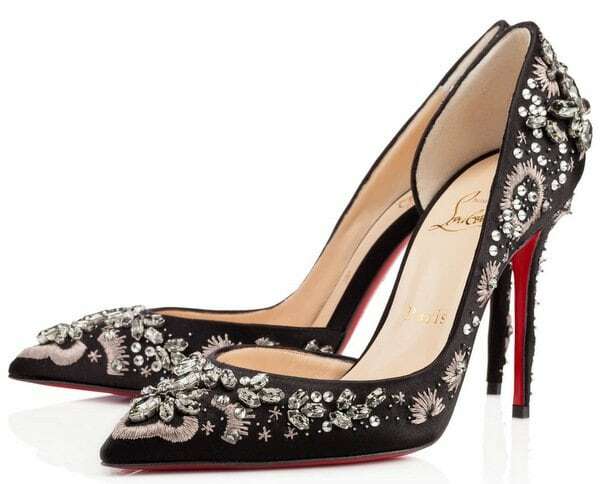 Fans of these embellished shoes include Joanne Froggatt, Rosie Huntington-Whiteley, and Rita Ora. The ‘Artifice’ pumps are available in black and blue khol.